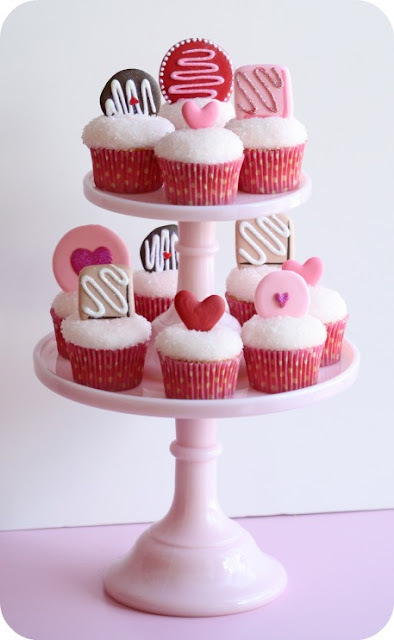 Sweetopia has a great tutorial for these cute Valentine candy themed cupcake toppers. 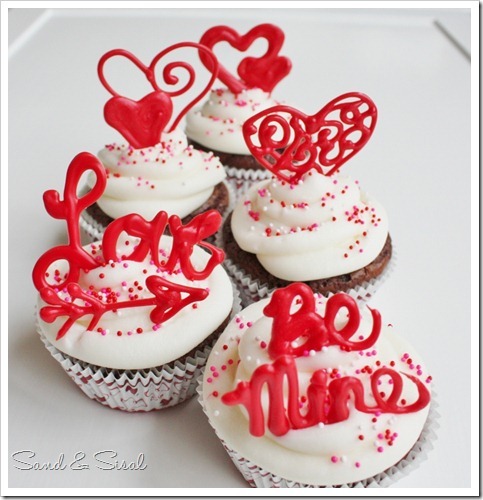 She made these Valentine's cupcake toppers using royal icing and she walks you through the steps of making your own. If you are looking for something made with chocolate or candy melts, Kim has a tutorial on how to make custom Valentine cupcake toppers over at Sand and Sisal. And of course now I need some cute pink cupcakes stands before Valentine's Day.